Calvary has Sunday School classes for 3 year olds – adults. 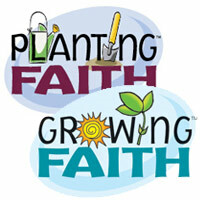 The 3 year olds – 6th graders meet each week from 9:30 – 10:30am. Come experience a Sunday School full of energy and excitement as your children learn about the Bible and experience God’s Love! You must be a member of Calvary Lutheran Church and have attended for at least six months. 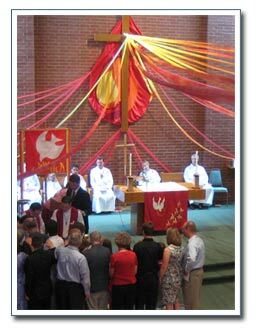 If you are transferring from another Lutheran church where you were an active member in good standing, you may volunteer prior to the end of a three month time period with the okay of the pastor and Director of Youth and Family Ministry and under their direct supervision. You must fill out an application to volunteer and have a criminal background check run. If you would like to be considered as a driver for youth events you must also fill out a driver form. 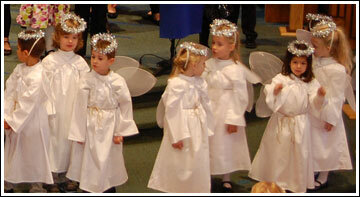 Our Children's Christmas program was Sunday, Dec. 14. More than 50 children (ages 3 through 6th grade) participated. The sanctuary was "standing room only." If you missed it, please click on the link below to see it for the first time, or to enjoy it again! Through story and song, our children once again shared the Christmas story with their church family. Over the years these stories and songs are written on the hearts of our children! When they are our little angels they look up to the "big kids" to lead them; until they ARE the 'big kids" leading a new group of angels.